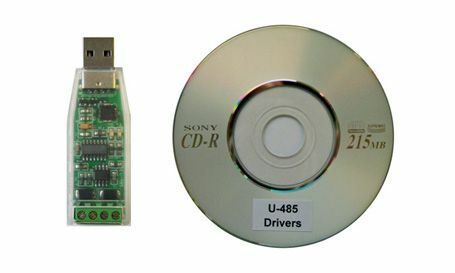 The new U-485 is a USB to RS485 converter that converts the PC's USB port directly to a two-wire RS485 interface. The converter is powered directly by the USB port and hence minimal wiring is required to connect your PC to any devices that has two-wire RS485 interface (e.g. All TRiLOGI brand of PLCs have at least 1 built-in RS485 port and on Nano-10 that's its only serial port). With U-485 you can use the i-TRiLOGI + TLServer software to program a network of M-series, F-series and/or Nano-10 PLCs from a single PC. 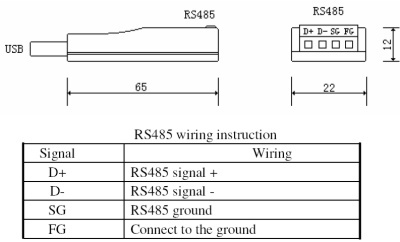 U-485 is also a great tool for trouble-shooting RS485 communication issues between devices. ▸ For users whose PC already has a built-in RS232 port or USB-RS232 converter, another option is to use the Auto485 converter to convert the RS232 port into an RS485 port. However, since Auto485 is not port powered, it may be less convenient to use than the U-485 converter for programming purpose. ▸ This converter is only used for converting a PC's USB port to RS485. It does not convert a PLC's RS485 into a USB host port for connecting to say a mouse or a serial printer. 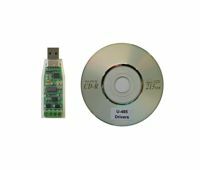 USB to RS485 conversion is not a simple electrical interface changeover and therefore it is NOT possible for the PLC to interface to those standard USB peripherals such as a keyboard, a mouse or a USB Flash Drive.